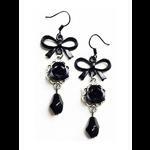 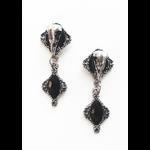 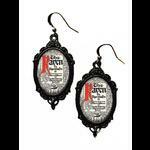 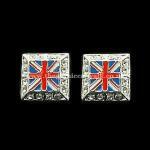 From the UL17 rock jewellery collection by Alchemy, a single dangle earring. 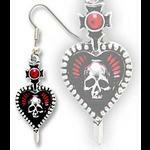 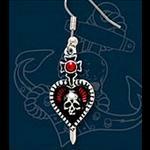 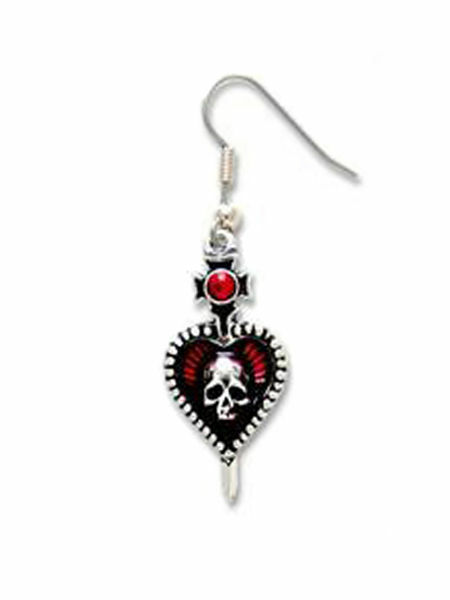 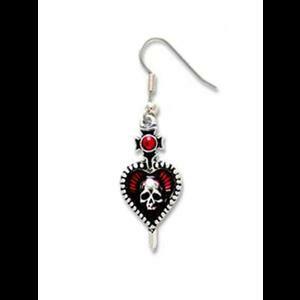 The earring comprises of a tiny pewter skull on a red enamelled background and set in a heart-shaped mount with a dotted edge. 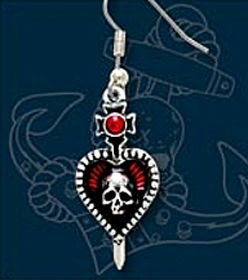 A dagger with a red crystal at the top gives the impression of piercing the heart. 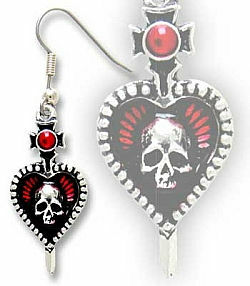 Fishook loop for pierced ears.